Chartier describes his approach to hyperrealism as theatrical. He first must find the right object or objects with which to build a set. He then extensively photographs these objects to ultimately achieve the right composition and lighting. For each painting, he takes hundreds, even thousands, of photos and later uses his Photoshop skills to correct and, in some cases, combine the images. He works from both the selected images and the still life itself. He works on big canvases to render his subjects larger than life size. 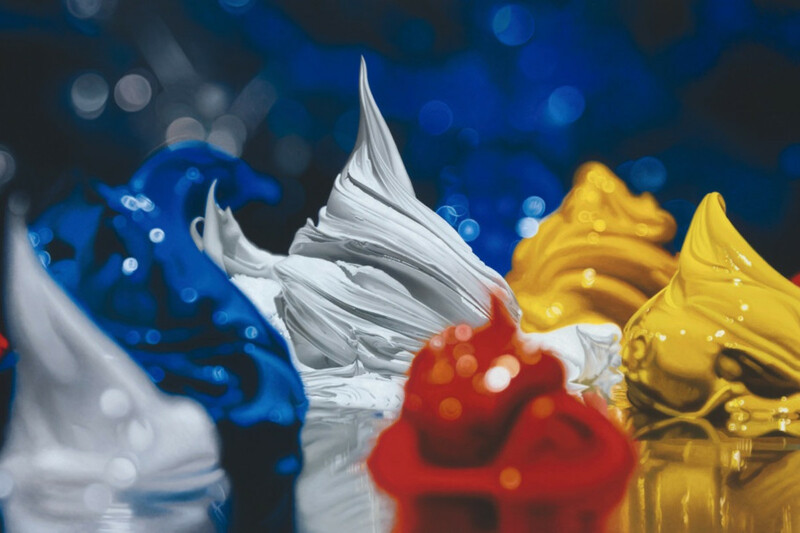 His goal is “to capture viewers and make them look at something they know but at a different angle with the smaller details revealed in their beauty and simplicity.” Before painting, he coats the canvas with a gesso base to mute any signs of texture and brush stroke. Weeks later, he adds the finishing touches and varnish. 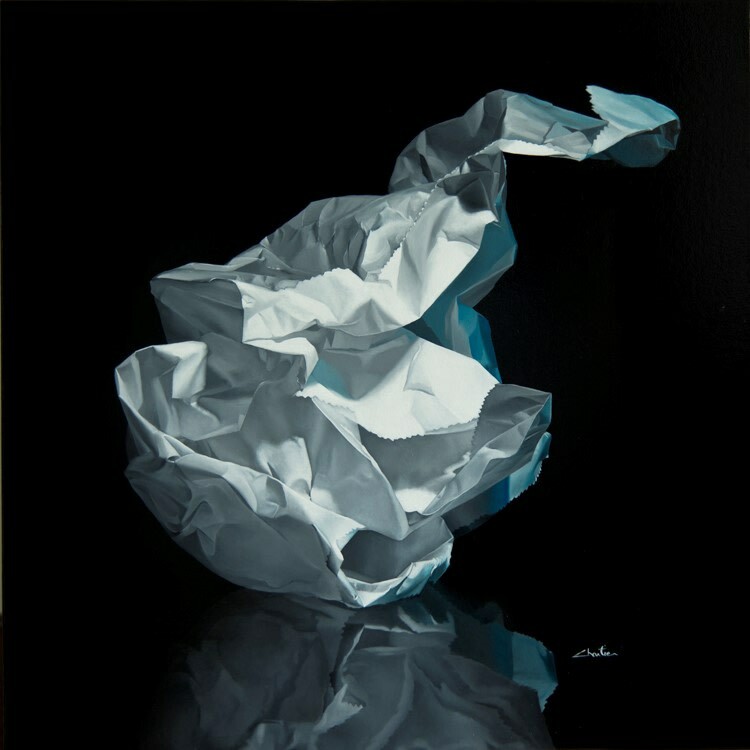 During the execution of ‘Precious’ Francois Chartier had been working on his ‘Paper Beauties’ series, in which he drapes crumpled tissue paper around a still- life object for an interesting juxtaposition. ‘Precious’ is an evolution from that series. 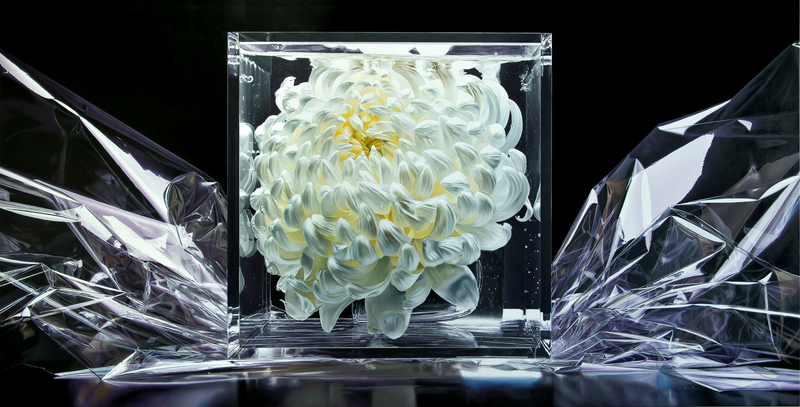 He replaced the white paper with transparent cellophane but a similar concept was initiated, the flower in that painting is also floating in a box full of water. Chartier experimented with this idea as he liked the way the light hit the subject through the water, fulfilling his need to create as much mood and drama through lighting. The photographic test and experimentation carried out during the making of ‘Precious’ brought him to further develop his exploration into water, light and the use of flash photography which stopped the movement. ‘Summer Passion’ was the result of this progression. The flower and the coloured fabric float weightlessly in the water, hit by the light, going through the image and reflecting in the rippled surface. 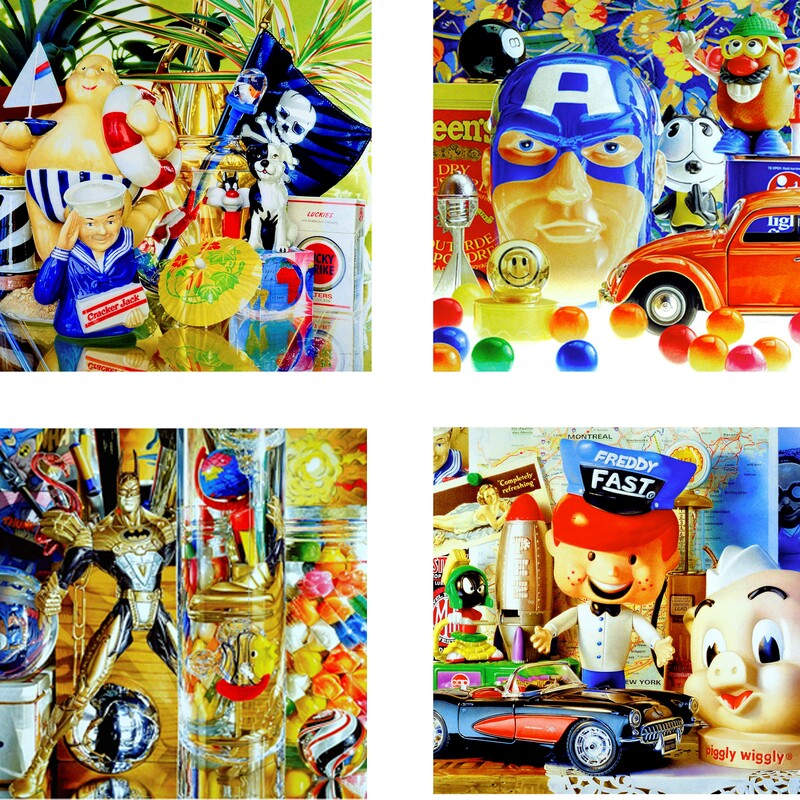 One of Chartier’s most striking subjects is that of childhood memorabilia crowded together and painted larger-than-life in his unique airbrush technique. Looking at his paintings can be a nostalgic joy as familiar characters from Batman to Corky are half-hidden among the colourful chaos. Yet it is not just that his work sparkle with a certain humour, because they are also bathed in a magical light. From coloured glass and marbles, to glossy metals and plastics, the paintings echo Chartier’s journey to understand such reflective and transparent surfaces, and to convey his sense of wonder and intrigue over them. York Road, London, SW18 1GY, U.K.